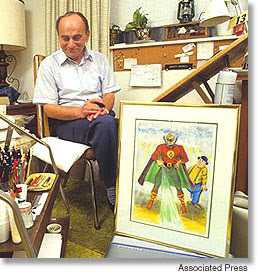 Artist Martin Nodell, known for his creation of both Alan Scott as Green Lantern as well as the loveable Pillsburry Doughboy, died recently. He had family that lived here in Waukesha, and passed away in the area. I usually don't blog about this kind of news because it's alway found everywhere and doesn't really need to be repeated. But Craig was interviewed in regard to this. Click here to read it.